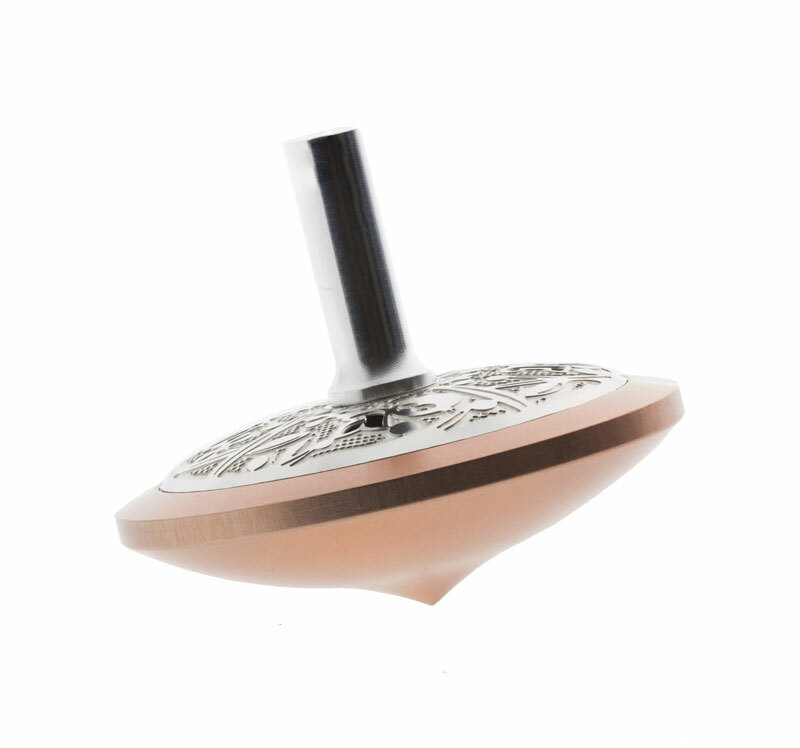 Whether your interest in Hanukkah dreidels comes from the traditional games featuring this classic spinning top, or from adventuring into whole new worlds of dreidel gaming, this peach colored top featuring silver colored aluminum plating with the Hebrew letters Nun, Gimel, Hey, and Pey will fit perfectly into even the most enthusiastically-built Judaica collection. Chanukah comes round., and round again, and round again. The years spin by, and the dreidels come and go. Cheap, plastic, disposable. This piece of judaica is something different. A peach and silver Hanukkah Dreidel will sit proud on any display, or even as a centerpiece for your holiday meal. A sure conversation starter, this Israeli top features the letters nun, gimel, hay, and peh. These letters stand for the phrase Nes Gadol Hiya Po (a great miracle happened here), and serve to remind all of the victory of the Maccabees over their unholy opposition. The artist, Lev Schneiderman , is noted for his stunning silverwork reminiscent of shtetl paper-cuts. This form of art has been identified with the Jewish people for at least 150 years. Lev is bringing this ancient art into the modern world with both his choice of materials and manufacturing processes.